The breathtaking beauty of the Great Barrier Reef blows me away every time I visit. The ocean is truly the last “quiet” place on earth, where all the stress and noise of every day life can be left at the surface once submerged below. 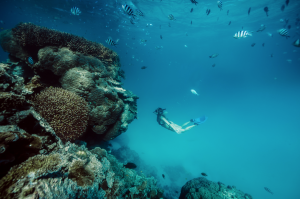 The GBR is incredible, being the only living structure on our planet which can be seen from outer space, the biggest single structure made up by living organisms and the first coral reef ecosystem to be awarded World Heritage Status. 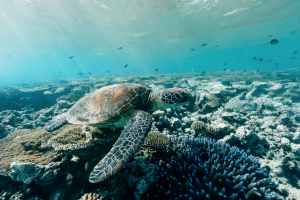 As a photographer and story-teller I seek capture moments and bring them to life, like the pure magic of the Great Barrier Reef. There is another world to explore and so much beauty to be found underneath. Uluru & Rainbow Valley, The Northern Territory. I’m continually drawn back to Outback of Australia for it’s rich, alluring land. 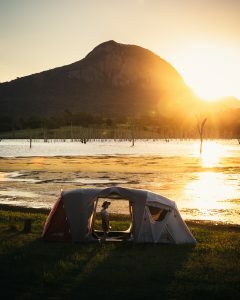 There are very few places I have seen that are as unique or as diverse as The Northern Territory. I am constantly encouraging everyone to go as soon as they can — to take off their shoes, turn off their phones and feel the land alive around them. The Northern Territory holds truly special place in my heart. I have been fortunate enough to visit Uluru / Kata Tjuta National Park three times and Rainbow Valley twice. 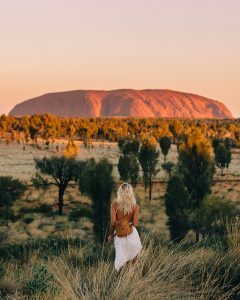 On both visits to each destination I recall standing mesmerised by this ancient land, watching as the land changes every colour of the rainbow, from ochre red to orange and purple and illuminate under the chandelier of an outback night sky. A place of magic and the connection to land, and traditions are still very much alive. 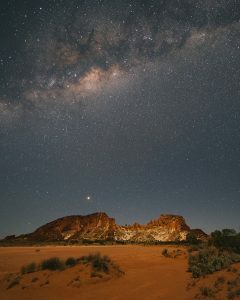 You can sit under the stars as you listen to the Spiritual Ancestors and Dreamtime Creation stories, and be apart of experiencing one of the oldest and most beautiful living cultures in the world. 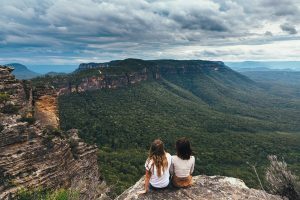 The Blue Mountains, New South Wales. In the Blue Mountains, I feel as though I am discovering the land before time. 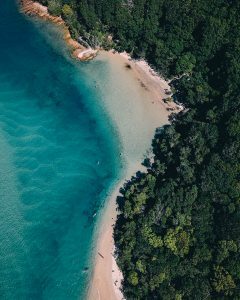 Being reminded that we are small when immersed in the 1 million hectares of inspiring rainforest, blue-hazed valleys, towering forests and windswept heathlands – acknowledged for it’s world-class experience of environmental and culture significance. A quote from my canyoning guide on my last visit couldn’t ring more true – “The magic of these mountains doesn’t lay in their heights but their depths.” – From quaint country towns and local food, to bush walks, a plethora of stunning waterfalls and valley views, incredible glow worm caves and wading through the geological treasure of the canyons; there are so many hidden gems waiting to be uncovered in the beautiful Blue Mountains. I am captivated by the highlands of Tasmania. The Tassie wilderness feeds the soul and allows the mind to slow and unwind. Being alone in the peace and quiet with nothing but our thoughts is something we so rarely get to experience in modern life and in here the time feels like it stands still. World famous as an eco-destination Cradle Mountain is the alpine heart of Tasmania. I’ve spent many afternoons unwinding to the the tranquil sound of moving water at Dove Lake, admiring the high dolerite cliffs rising sheer from the water, surrounded by distinct iconic peaks and breathing in the cleanest air. 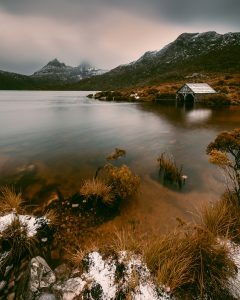 Cradle Mountain is a wild, stunning and unique environment that captures your heart and leaves you feeling inspired, always lingering for more. I feel so lucky that in-between my travels I can return to this idyllic place I get to call home to reset and restore. 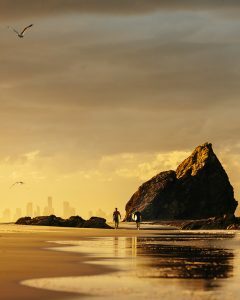 Melissa Findley is an Australian travel photographer who currently resides on the Gold Coast, Queensland. Melissa’s extensive scope of work includes Travel, Adventure, Portraits, Landscape, Lifestyle and Charity. Working with brands such as Canon Australia, Adobe Lightroom, Kathmandu Australia and a number of different tourism boards across the globe. Melissa has spent the past few years relentlessly chasing her dreams, wherever they may take her. place uniquely their own. Through her lens, her dedicated followers become her travel companions and are immersed in a sensory experience of culture, beauty and emotion. 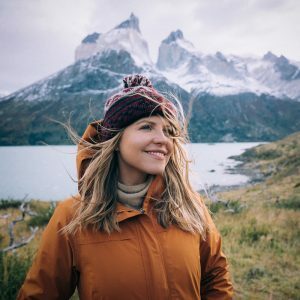 With an abundance of real world experience, Melissa’s work has taken her across the globe from New York City to Nepal, East Africa to Samoa and everywhere in-between.